Will U.S. election outcome drive people to Costa Rica? Here at The Tico Times, we regularly see the amazing natural beauty that brings millions of tourists (and many new residents) to Costa Rica each year. I recently struggled through the homologation of my foreign driver’s license. After two unsuccessful trips to the Roadway Safety Council, COSEVI, I am proud to legally be able to drive here. 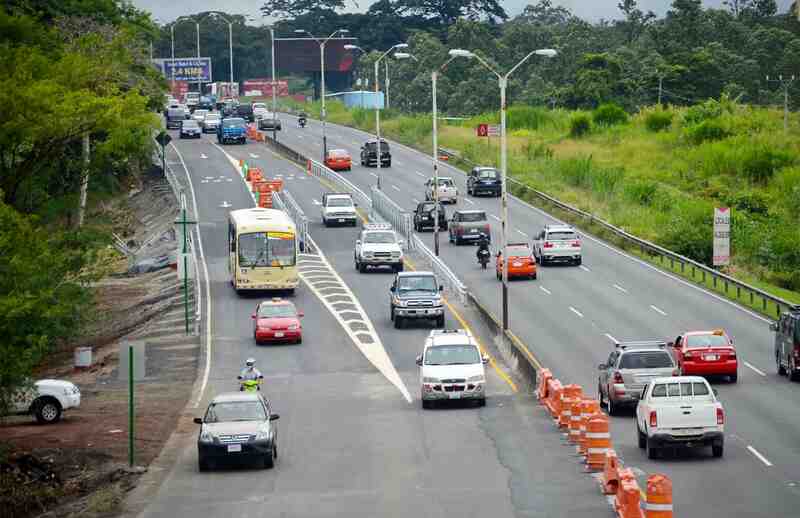 Here’s how to handle driver’s license-related processes in Costa Rica. In general, tourists can stay in Costa Rica for 90 days after their arrival. If you have a valid driver’s license issued from your home country, then congratulations! You can drive in Costa Rica for the duration of your stay. Since the legality of your foreign license is dependent on you remaining in Costa Rica for fewer than three months, we recommend driving with your passport or at least a copy — including both the photo page and the page with your entry stamp into the country — just in case you’re pulled over. So you’ve chosen to apply for residency, or through some other capacity are staying in Costa Rica beyond the 90-day tourist allotment. Congratulations! If you plan on driving in here after the first three months, though, you’ll have to homologate your driver’s license. This process allows you to receive a Costa Rican driver’s license — of the same class and expiration date of your foreign one — without having to take another driving test. This is done at COSEVI offices (locations listed here) on Tuesdays and Wednesdays from 7-11 a.m. I recommend arriving early — get there right at 7, or before if possible — and make sure you bring all the required documentation. Your foreign driver’s license. It must be unexpired and in good physical condition. Also bring two photocopies of the front and back of it. Your cédula or residency card, which must be in good standing. Also bring two photocopies of the front and back. Results of your medical exam, or dictamen medico. This can be completed in the 180 days prior to your trip to COSEVI in clinics across the country, many of which are concentrated around COSEVI offices. A translation of the foreign license, if it is in a language other than Spanish (yes, even English). The translation must be from an official translator. Click here for a list. Original marriage certificate (and two copies) if the surname(s) on the license differs from your legal name. *If there are too many stamps in your passport or they can’t find your last entry stamp, you’ll need an official list of entries and exits from the Dirección General de Migración y Extranjería. The service is available Monday through Friday from 8 a.m. to 12 p.m.
After beginning the homologation process, a COSEVI employee will instruct you where in the complex to pay the 5,000-colon (about $8.50) fee for the service. Read the full list of requirements here. And remember to arrive early! There is more flexibility (and less waiting in line) when renewing a Costa Rican driver’s license. In the three months before your license is set to expire, you can renew it at a COSEVI office. Several Banco de Costa Rica locations offer this service, too, for a small additional fee; however, foreign residents cannot use the BCR service and must renew their licenses thorugh COSEVI. Proof of payment for the renewal. The fee is based on your driving record; you’ll get half off the regular 10,000-colon (about $17) cost for having fewer than four points and no infractions. All major Costa Rican banks should be able to complete the payment. Results of your medical exam, or dictamen medico. These can be completed in the 180 days prior to renewing your license in clinics across the country, many of which are concentrated around COSEVI offices. Your cédula or residency card, unexpired and in good physical condition. You should also bring the license that is due to expire. Read the full requirements on COSEVI’s website here. Did we miss anything? Is there something else about Costa Rica about which you’d like to learn more? Let us know in the comments!